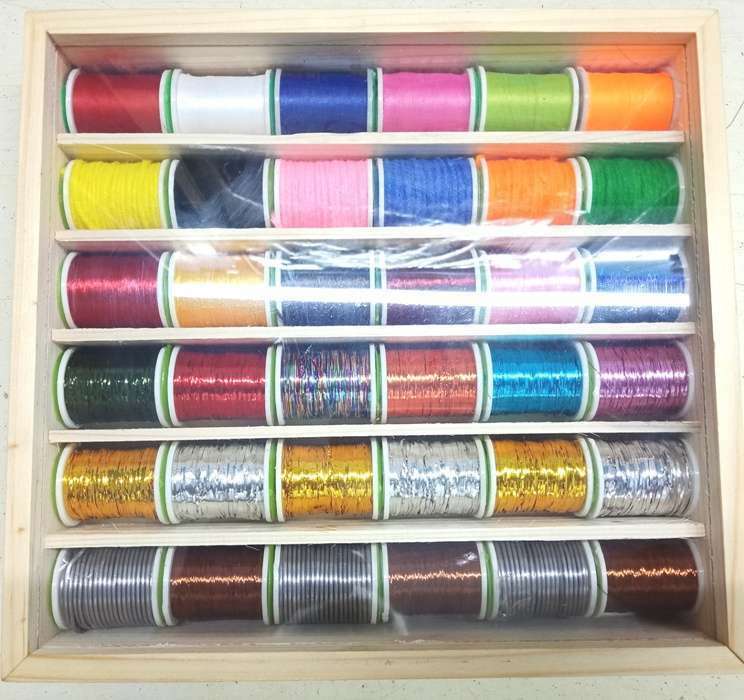 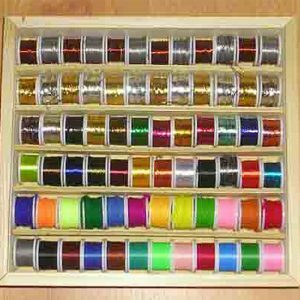 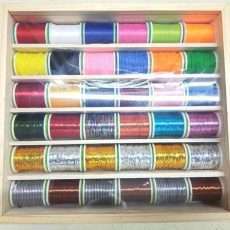 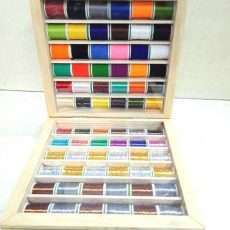 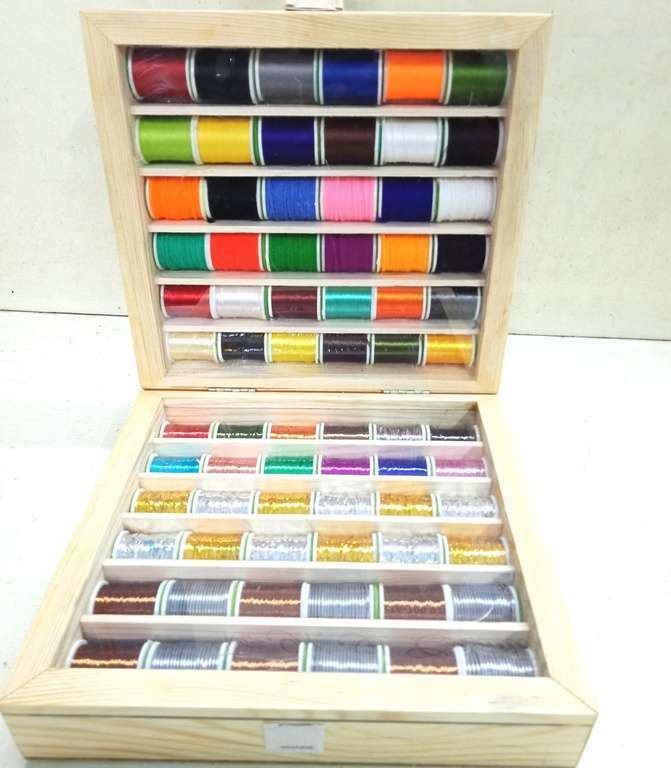 Wooden Spool Box (36) containing- 36 LARGE SPOOLS – 6 spools of Fly Tying Thread , 6 spools of Wool, 6 Spools of Floss , 6 Spools of Coloured Tinsel , 6 Spools of Gold & Silver Tinsel, 3 Spools of Copper Wire, and 3 spools of Lead Wire. 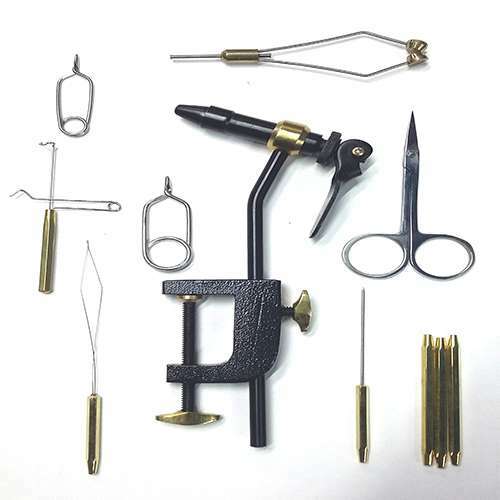 Advanced Fly Tying Kit is packed with premium tools packed in a nice PINE WOOD BOX for easy handling and makes a wonderful gift packing. 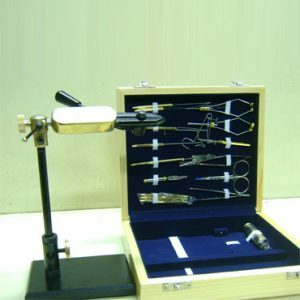 1) Nameo Royale Vise with Square base. 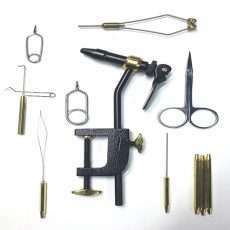 Classic Vise along with 8 other basic fly tying tools lamination packed on a white board. 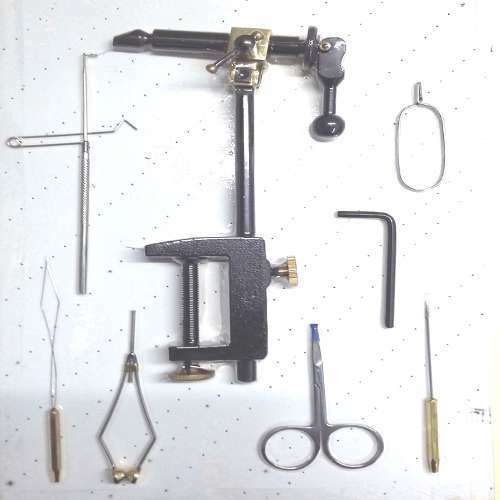 Contents of the kit are : F-33 Classic Fly Tying Vise – 1 ; E-2 Bullet Head Bobbin Holder – 1 ; A-2 Fine Scissors 4″ – 1 ; C-04M Medium Short tip Hackle Pliers – 1 ; C-401 Small Hackle Pliers – 1 ; G-2 Small Bodkin – 1 ; G-04 Half Hitch Tools Set of 3 – 1 ; E-7 Bobbin Threader – 1 ; D-201 Brass Hex Whip Finisher Large – 1.